In Toad Data Point 3.6 we add the ability to execute Automation scripts on Toad Intelligence Central. This was a great enhancement as it freed up your working computer. In this version, 3.7 we have added a few more enhancements I think you will enjoy. Often the reports generated by your automation script would access or be stored on a network drive. In previous releases the automation scripts on the Toad Intelligence Central we run under the SYSTEM account. This account does not have the same privileges as your domain account, so these network drives were not accessible. 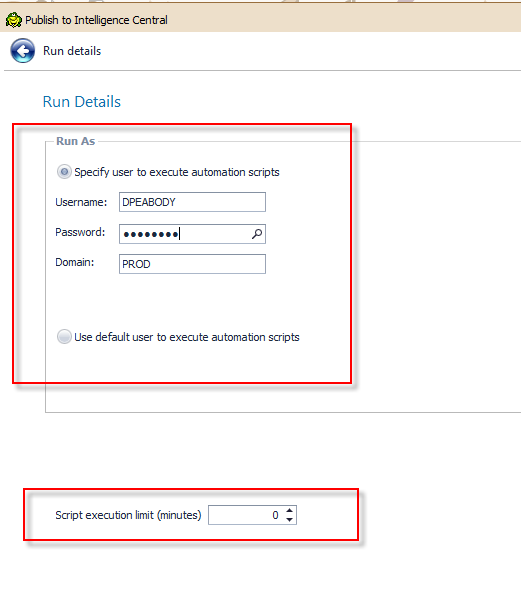 In this release when you publish your script you can enter a log id that will execute the script. This can be your own or you can have your IT create an account with the proper privileges. Also, when publishing we have added a timeout value. So if you want to limit the length of time a script is run you can enter the value in minutes and when it is exceeded the script will be terminated. For managing scripts we have added a new window. This window is available on the tool bar of right click and shows all scripts on Toad Intelligence Central. 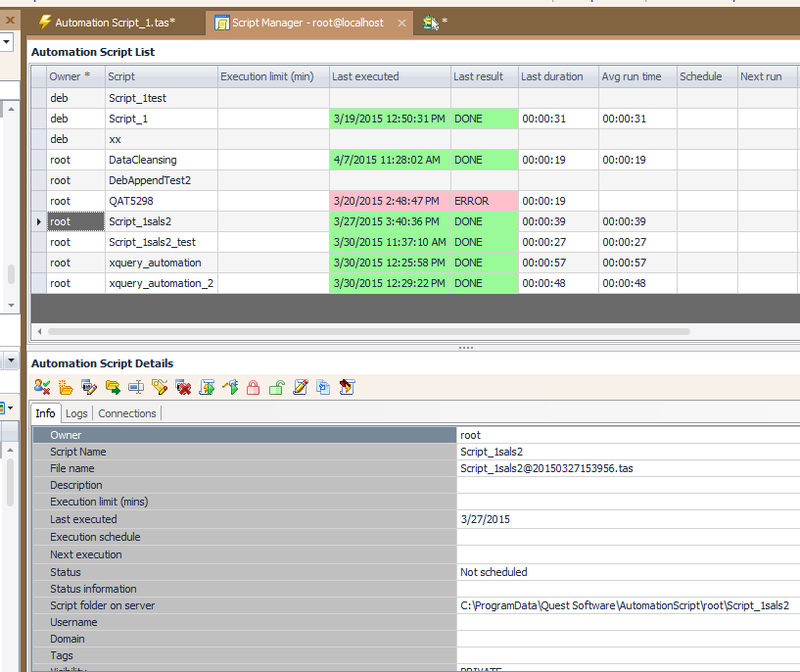 At a glance you can see the last result status, next execution time and scheduling. We have also added an average execution time. This can be used when trying to tightly schedule scripts sequentially. Selecting a script will show the details in the bottom pane. Including the log tab and connections associated with this script. A report can be generated by using Quick Export. If you need to change your logid or password, go to the scheduling window and enter your new details. This will update all scripts using that same id. I highly recommend using Toad Intelligence Central for executing and managing your automation scripts.